What a finish to Game 4. Despite thoroughly dominating once this series moved to New York, Boston held on by literal inches in a 2-run ninth inning, which quite nearly saw them give up the lead with their ​elite closer on the mound. The Sox infield defense saved them in the end. After Gary Sanchez narrowly missed a walk-off grand slam, Gleyber Torres hit a slow roller which forced Eduardo Nuñez to sacrifice his body to injury and Steve Pearce to stretch like a damn yoga instructor. Yet, here we are one replay review later with ​Boston advancing to the ALCS. Frankly, it's where they belong, just 111 wins later. Seemingly every change Alex Cora made this series worked perfectly, including pitching his ace in the eighth inning of this decisive game, and starting Rick Porcello in a tough environment. He benched Brock Holt after he hit for the cycle! Porcello and Nathan Eovaldi deserve similar credit for their downright dominance under the bright lights of the Bronx baseball cathedral. From the Yankees point of view, there's plenty to second-guess from manager ​Aaron Boone, who frequently left his starter in the game far too long. With the best bullpen in baseball, Boone was consistently late, and Boston's offense took advantage. 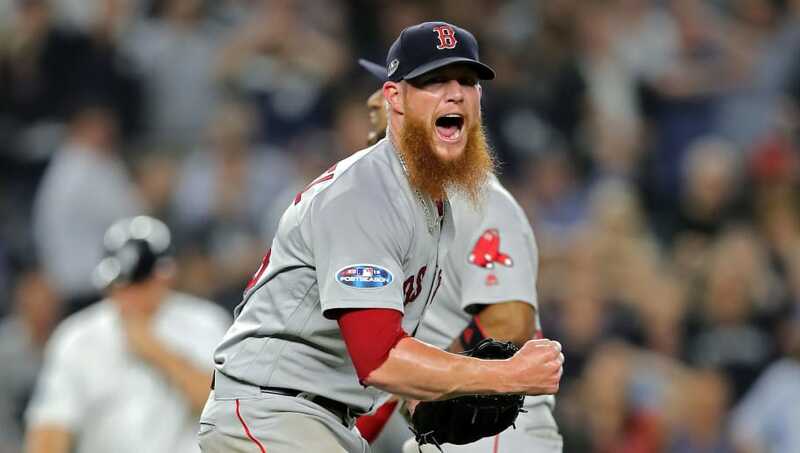 With the victory, Boston moves on to Houston, which features the scariest rotation in baseball and an overall team that might be better than last season's World Series-winner. Don't count out these Sox; they won 108 games for a reason.